Our country is made up of national, state and local authorities, each with distinct powers and jurisdictions. As you develop a political agenda or simply want to reach out to a government official, it’s important to understand the function of each official. The federal government has three branches. The U.S. Congress, comprised of the 435 members of the House of Representatives and the 100 members of the Senate, is the legislative branch. The executive branch – which executes the laws passed by Congress – includes the President, Vice President, the Cabinet and executive agencies. The courts make up the judicial branch. To make your voice heard, it’s most effective to lobby the member of Congress who represents your district, because it’s his or her job to be accountable and responsive to constituents. Sometimes you’ll want to reach out to the Congressman/Congresswoman closest to the particular issue, and in some instances, it is important to let the President know how you feel, by calling or writing to the White House. The most effective way to contact federal representatives is by phone, letter or personal visit. Note that due to processing procedures, a postal letter may take as long as three weeks to arrive – so in urgent cases, a personalized email (not a form email) may be a better option. To schedule a policy meeting, it’s best to go through the Washington, D.C., office. If you want to invite your member of Congress to speak with you or an organization in your neighborhood, you may call the local or the Washington office. 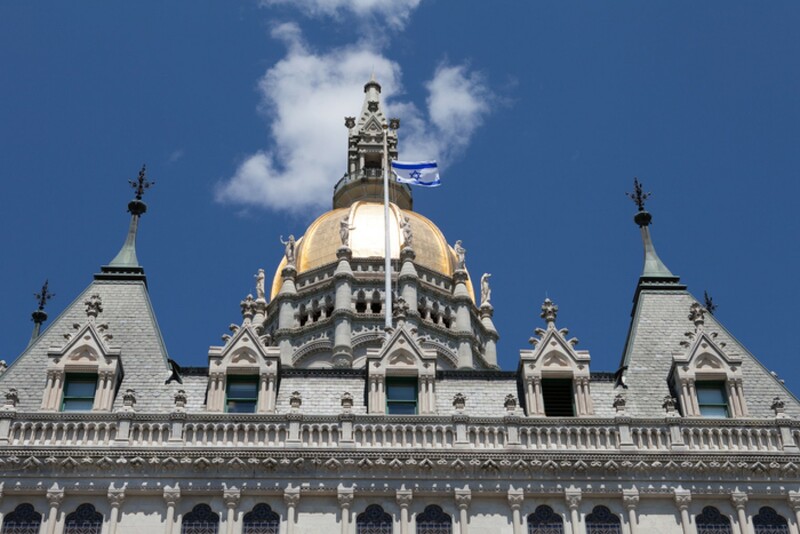 Contact information for Connecticut’s federal legislators is available here. To contact other members of the federal government, such as those who work in various executive departments, visit their websites. In the state of Connecticut, as in other states, the Governor is the chief executive or top official in the government. Our legislature (known as the General Assembly) is comprised of the Senate and the House of Representatives. The General Assembly makes the laws that direct the executive branch; it is only in session for part of the year. To contact state officials, start with their Hartford office. You may need to work through the local office, however, since the session is so short. As with federal officials, your most effective means of communication with your elected state representatives are personal visits, phone calls and letters. Contact information for Connecticut’s state legislators is available here. With 169 towns in Connecticut, there is no single way to reach all of our elected or appointed officials. Most cities and counties have a website listing officials and government offices and their contact information. At this level of government, a phone call or email is the most effective means of communication. Avoid using form letters. Elected officials place more value on personalized communications. If you are writing as part of a campaign, you can – and should – change the suggested language to reflect your own voice. Open with “thank you” and state your purpose for writing. Refer to the legislation you’re writing about by name and number. Be sure to reference the correct legislation with the correct body of Congress. House bills are designated as H.R.___; Senate bills are designated as S._____. Discuss only one issue in each letter or email. Be concise! Raise an issue and make two or three points; don’t write a full essay. Before you call, draft a few speaking points. It will help you make the most of the call and avoid getting flustered. State your reasons for support or opposition to the bill. Ask for your senators’ or representatives’ position on the bill. You may also request a written response to your phone call. Meeting with an elected official or staff member is a very effective way to convey a message about a specific legislative issue. Below are some suggestions to consider when planning a visit to a congressional office. Plan your visit carefully. Be clear about what it is you want to achieve. Determine in advance which member or committee staffer you need to meet with to achieve your purpose. Make an appointment. When attempting to meet with a member, contact the appointment secretary/scheduler. Explain your purpose and who you represent. It is easier for Congressional staff to arrange a meeting if they know what you wish to discuss and your relationship to the area or interests represented by the member. Be prepared. Whenever possible, bring to the meeting information and materials supporting your position. Members are required to take positions on many different issues. In some instances, a member may lack important details about the pros and cons of a particular matter. It is therefore helpful to share with the member information and examples that demonstrate clearly the impact or benefits associated with a particular issue or piece of legislation. Limit the agenda. Discuss only one or at most two to three issues during the visit. Don’t try to cover a laundry list. Members of Congress generally only have a small amount of time to hold meetings, so the best way to keep focus and move your agenda forward is with a few topics. Be political. Members of Congress want to represent the best interests of their district or state. Wherever possible, demonstrate the connection between what you are requesting and the interests of the member’s constituency. If possible, describe for the member how you or your group can be of assistance to him or her. When appropriate, ask for a commitment. Be assertive. Ask the legislator to agree to do something specific: become a sponsor of the bill, support a specific amendment to the bill, sit in on upcoming hearings, work for defeat or passage, talk to fellow legislators, etc. Always be respectful, but don’t be afraid to ask for something reasonable. Be responsive. Be prepared to answer questions or to provide additional information. Follow up the meeting with a thank-you letter that outlines the different points covered during the meeting, and send along any additional information and materials requested. Say thank you. Not only is it important to ask your legislator for help in person, but it is immensely valuable to express your appreciation in person as well. This helps you establish a good relationship, which will invariably help you with future meetings and issues. Even when you are meeting with a legislator for help with an issue, thank him or her for a positive action on something else he or she did for an issue you support. Don’t get offended. Often when you meet with a legislator, he or she will have a staff member in the meeting and may even have to leave the session. This does not mean you and your issue are not important. Legislators make decisions largely based on the recommendations of their staffs, so it is often the case that the legislative assistant will guide the issue to completion. Legislators juggle a tremendous schedule, so when they leave, it may be for another meeting or possibly a vote.